As she thought about readings she had completed for class and how to get her participation points, she thought, the Greeks had it right. She was standing in line to order her morning pick-me-up before class, surrounded by papier-mâché hearts in every variety of the colors red and pink, with a few white ones mixed in too. Six words - six! - for our one, she continued to think. Sometimes simplification is not a good thing. Just this morning, she witnessed the tenderness with which her parents profess their love, the casual way two friends say, “Love ya!” before heading in their separate directions, and the “love” that some girls professed after seeing the latest advertisement for the new rom-com coming out. And she herself, personally knew the all-all-encompassing love of Christ. Then again, maybe the Greeks were wrong. Maybe the love a person has for Christ, is the love they should be showing the rest of the world. To some, the Bible is viewed as nothing more than a giant rule-book, impossible to follow. The idea is not new for at least one ancient Israelite felt the same, wanting to prioritize the rules listed within. “Teacher, which is the greatest commandment in the Law?” And Jesus replied to him,“‘You shall love the Lord your God with all your heart, and with all your soul, and with all your mind.’ This is the first and greatest commandment. (Matthew 22:36-38, AMP) And Jesus humored him, giving him an unexpected answer. For the greatest commandment is to love the Lord with all your heart. If that commandment is followed, then all the others will align, for loving God, is following His word! When we love someone, we try to make them happy, we encourage them to be the best person they can be. In return, this often brings out the best in us. The more we love them, the harder we strive. How much do you love the Lord? We know exactly how much the Lord loves us. “For God so [greatly] loved and dearly prized the world, that He [even] gave His [One and] only begotten Son, so that whoever believes and trusts in Him [as Savior] shall not perish, but have eternal life.” (John 3:16, AMP) He loves us so much that He wants us to spend eternity with Him. In order for that to happen, He was willing to sacrifice His only Son, His perfect Son. And His Son was willing to be sacrificed! He knew the pain and turmoil that would come with His sacrifice and was still willing to make it! God’s love for His children is all encompassing, on the deepest level. How deep, how encompassing, is your love for the Lord? Our love for others is to be modeled on God’s love for us, on the love Jesus showed towards everyone who sought Him out, and even those who didn’t. Jesus showed love towards all sinners, but not towards the sin. Sin separates us from God - it is why we not longer walk with Him in the Garden of Eden. But God did not stop loving His creation when they sinned. He punished them, through separation, but continued to care for them. 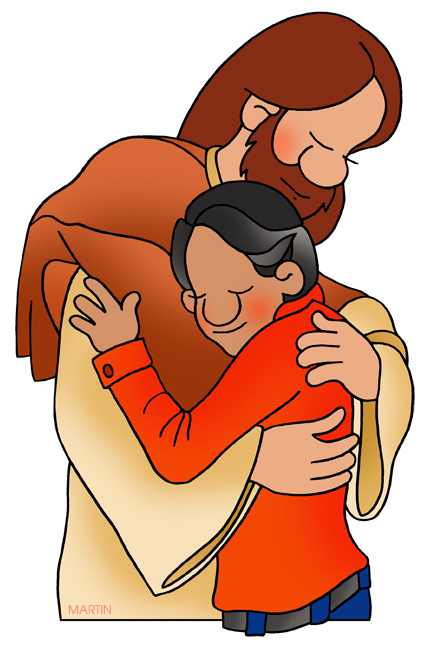 His continued love is why He sent His Son Jesus to the earth, as a simple man. Some, especially non-Christians and new Christians, can have trouble understanding this concept; love the sinner, but not the sin. But we live this concept everyday without realizing it! Parents will punish their children, but they don’t stop loving them! We may disagree with a friend over their opinions or an action they took, but we don’t stop associating with them! Friends or family members may struggle with alcohol or drug addiction, but love of them is what keeps us supporting them, encouraging them to better themselves. Love is what makes it so difficult to walk away from them. God the Father; it’s not just a title. We are His Children and although we are separated from him, although we sin and hurt Him, He never stops loving us and caring for us! His love for us is greater than anything we could ever show our friends and family. But we mustn’t mistake His love, His care, His forgiveness, for acceptance and compliance. Yes, He loves us in our sin, but He still wants us to walk away from our sin! He wants us to once again be one with Him! In today’s world, many think that because He loves us, and forgives us, our sin does not matter, we do not have to change our ways because God is all-loving and will forgive us. But is that really what the Bible says? Learning to love, learning how to love are important steps in developing our relationship with Christ and with others. Most lessons stop here. They emphasize love, and the importance of showing love to all. But what about when you don’t? Is there an area in your life where you fail to uphold love? Where you fail to give love? If we are commanded to love, then a lack of love is a sin for which we must repent. We can often think that others are not deserving of our love, that they have wronged us. Do we really deserve God’s love? Have we not wronged Him? Yet, He still gives us His love abundantly! Greater love has no one than this, that someone lay down his life for his friends. (John 15:13, ESV) Maybe the commandment to love is not as easy as we think. 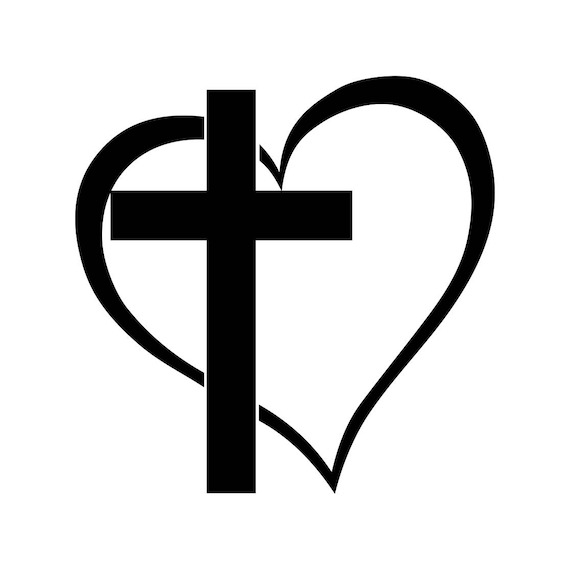 For as Christ demonstrated at Calvary, unconditional love is not easy.